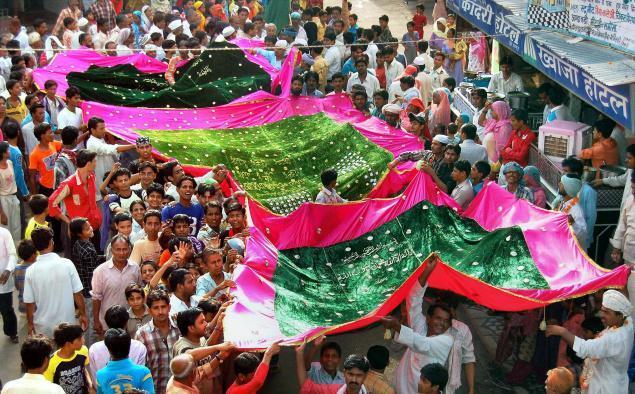 The annual celebration at the Dargah or tomb of the Sufi saint Khwaja Muinuddin Chisti, in Ajmer is observed with great fervor in the month of May each year. The Urs (the death anniversary of the saint) is an occasion for a massive pilgrimage, with thousands of devotees flocking to the dargah. The celebrations continue for six days, commencing with the hoisting of a white flag on the tomb by the Sajdanashin. 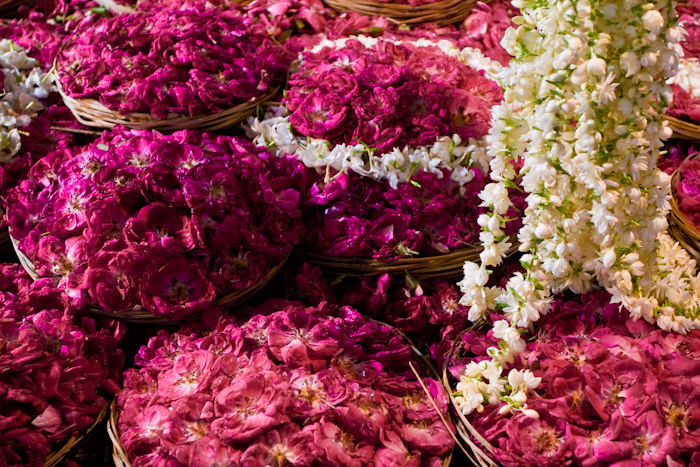 Pilgrims of different religions come from all over to seek the blessings of the great saint. 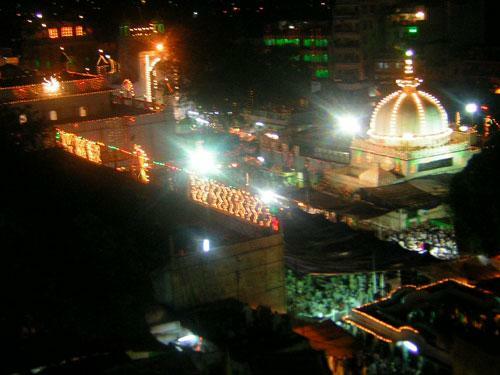 Programs of religious music or quawwalis are held all night long at the Dargah in which renowned singers participate. The intensity of the performance has to be witnessed, to be truly appreciated. Outside the dargah precincts, two massive cauldrons cook sweet rice garnished with dry fruits and condiments to be served as ‘tabarukh’ or sanctified food. This is the 801st death anniversary of the Sufi saint and there is a ritual of sandal. On this auspicious day the sandal offered by the devotees in the past one year is cleared and later distributed among the devotees coming from far and nearby places. It is believed that sandal cures various diseases and that is the reason devotees take the sandal, keep it in bottles of water and drink that water throughout the year. Although it is an Islamic tradition, people of all faiths participate with equal reverence.